ATLANTA - Nov. 14, 2018 - PRLog -- CRH Healthcare (CRH), the leading urgent care operator in the greater metropolitan Atlanta area, has recently opened its twenty-sixth and twenty-seventh Peachtree Immediate CareTM centers in Smyrna and Lithonia, two Atlanta suburbs. 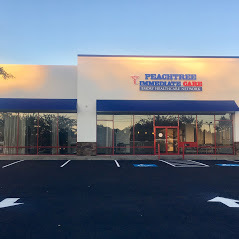 The new Smyrna location is conveniently located on the corner of South Cobb Drive and Concord Road, at 3295 South Cobb Drive. 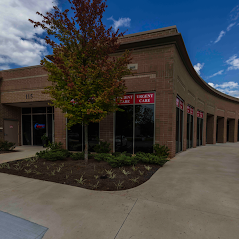 This new, highly-visible location is the only urgent care in Smyrna north of the East-West Connector and is very close to the Campbell and Osborne High Schools as well as Smyrna's City Center. The facility is open from 8:00 am to 8:00 pm 7 days a week and is well-equipped, including seven exam rooms. The center, staffed by board certified physicians, nurse practitioners, and physician assistants, offers urgent care, limited primary care, and occupational medicine. In addition to the very capable staff, the well-appointed center will have CRH's interconnected electronic medical record system, online check-in, an on-site lab, and digital x-ray capabilities. Occupational health services include physicals (e.g., pre-employment, annual, & DOT), worker's compensation injury treatment, and drug testing, including eScreens. It is not a coincidence that the Smyrna clinic is near Emory at Smyrna, an Emory Healthcare medical facility. Peachtree Immediate Care is the exclusive urgent care partner of the Emory Healthcare Network, working together to provide an integrated approach to care for patients across Atlanta. Peachtree Immediate Care and Emory have taken the same approach with the new center located in Lithonia, where the Peachtree Immediate Care center is located directly across the street from the Emory Hillandale Hospital. "Where the Smyrna location was a completed renovated facility, in Lithonia, we were extremely excited to acquire Horizon Urgent Care, a successful center that opened in 2017." said Bill Miller CEO and Co-founder of CRH Healthcare. "In addition to the ability to serve the Lithonia area, we are truly excited to have their highly skilled providers and staff join the Peachtree Immediate Care team as they share our Mission for delivering the Perfect Patient Experience Every Time." In addition, Peachtree Immediate Care will open new locations in both Cartersville and Austell in late 2018. "We continue to look for areas around Atlanta where we can expand our network and provide additional access to communities that are underserved. This is essential to our commitment to helping our patients "Get in. Get out. Get Better.TM"
CRH Healthcare (CRH) was founded in 2012 to become a consumer- and quality-focused urgent care center industry leader through both acquisitions and de novo development. Everything the company does is focused on what it calls "The 5 Cs"—being Convenient, Caring, Courteous, Competent, and Compliant. With operations in Georgia, Florida, and Alabama, CRH is well positioned in the Southeast to help patients Get in. Get out. Get Better!™ CRH was recently named the nation's fastest growing urgent care company according to Inc Magazine's annual Inc 500 list (#845 overall) and Atlanta's fastest growing private healthcare company for the second year in a row by the Atlanta Business Chronicle. CRH Healthcare is a proud member of the Urgent Care Association of America. For more information about Peachtree Immediate Care or CRH, please visit https://peachtreemed.com or https://crhhealthcare.com.